Our office is completely digital, we use TDO practice management software which is more efficient, and environmentally friendly comapring to paper charts. Once an appointment is made, the patient will be provided with an unique web ID and password to pre-register online and fill out the new patient forms or update their information at their convinience from their home or office. All personal information is completely encrypted and carried over a secure server to assure that patients' information is 100% protected. Our operation rooms are equipped with Zeiss ProErgo surgical operating microscopes. With high intesity ilumination and magnification, this allows us to preserve natural tooth structure while searching for root canals, visualize anatomical variations, and locate crack lines and root fracture. With using Gendex GXS-700 digital sensors, radiation to patient is reduced up 80% compared to coventional film technology. Digital images appear instantly on the monitor allowing computer enhancement and enlargement, which assists the clinician to better visualize the details and improve diagnostic and communication capabilities. Cone Beam Computed Tomography captures three-dimensional radiographic images of the teeth and jaws providing information of the canal and root morphology of the tooth. 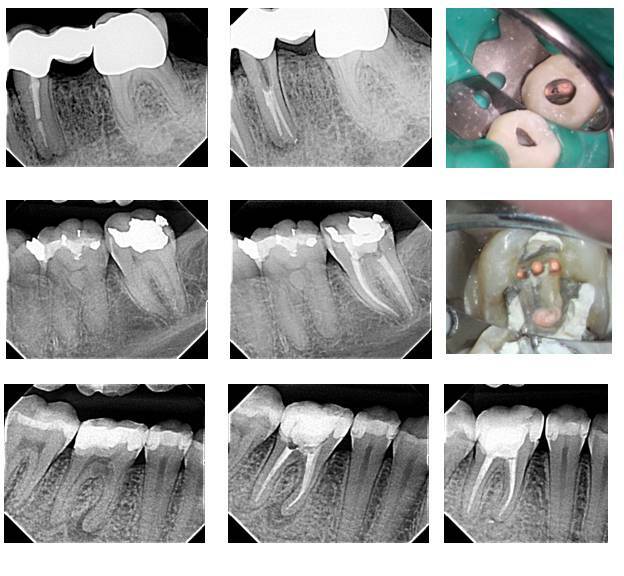 These images are exteremly helpful in retreatment and surgical, diagnostically challenging cases, where a complex root canal anatomy is suspected, and resorption cases. On occasion, scans are taken mid-treatment to help locate difficult anatomy. Cone Beam CT delivers a minimal radioan dose compared to medical CT. A medical CT image of the maxilla and mandible is about 2.0 mSv or the equivalent of 243 days of background radiation, a small field CBCT will require only 0.005 - 0.038 mSv or the equivalent of 1 - 5 days of background radiation, depending on the area of interest.